Haemimont Games, the largest Bulgarian development studio, is mostly known for the last three Tropico games. However, their most recent title is Action RPG Victor Vran, originally launched on Steam in July 2015 to overwhelmingly positive user feedback (90% of the total user reviews are positive). The game is now about to get an ‘Overkill Edition’ which will launch on consoles (PlayStation 4 and Xbox One) as well as PC. 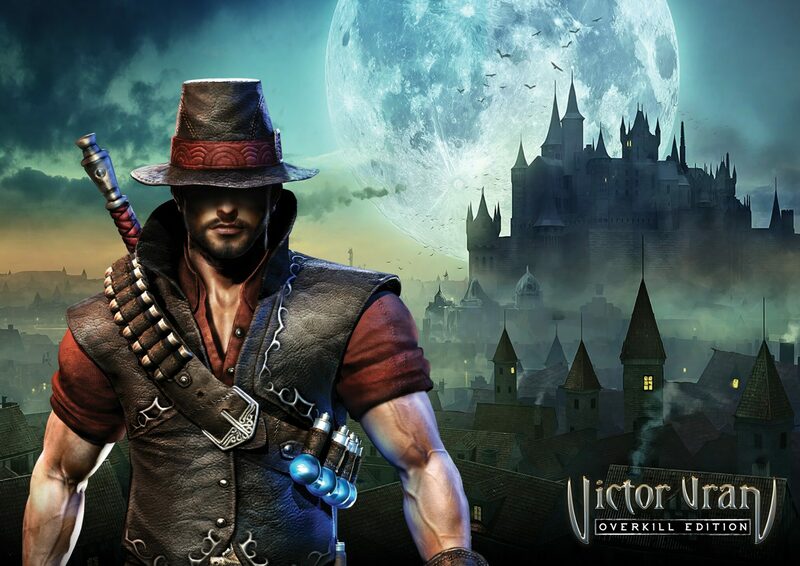 This version of Victor Vran comes with two brand new adventures: Fractured Worlds and Motörhead: Through the Ages, the latter clearly inspired by the famous English rock band. We were able to send a few questions to Haemimont CEO Gabriel Dobrev and Producer Bisser Dyankov to learn more about Victor Vran: Overkill Edition ahead of the upcoming release. Victor Vran launched almost two years ago on PC. Are you satisfied with the game’s performance and user feedback? Why is it the right time now to launch on consoles? When we first launched on Early Access we didn’t know exactly what was going to happen, but we knew something was going to happen and that paid out really well for Victor Vran. The players had a lot of involvement in what the game became later on. Initially, we weren’t really planning to add as much content as we did, but the direct comparison that everybody was doing with Diablo just more or less gave us the input to do something that can stand up next to Diablo in terms of playtime and amount of content. We’re combining the launch on consoles with the launch of the new content on PC and because we couldn’t launch it on consoles originally we believe that now is a really good time to do it. Console players will have access to content at the same time of PC players. This was Haemimont’s first Action RPG. What did you learn about this genre by releasing Victor Vran? We learned everything that there is to know! As a company, we like to go into different genres that we haven’t tried and done before. It was the same with Victor Vran and we really tried to make a lot of changes to the genre, coming from our experience with previous games. We wanted to keep the freedom into the hands of the player. What was the idea behind this partnership with Motörhead? Can you tell us what’s in this DLC and how much it will take to complete it? The partnership with Motorhead came about in a very interesting way, we started playing the game early on and we thought their music was a natural fit. The original idea was to approach them and license a few tracks or maybe a whole album, it wasn’t clear, so we started talking to them and things just progressed from there. We asked them if we could add something more than just the soundtrack to the game and then it became clear that it was all or nothing. There are a lot of things for both Victor Vran and Motorhead fans in the expansion. We have entirely new monster classes, we have created after themes found in Motorhead music. We have thirteen tracks of them and we also have a lot of in-game mechanics and story related to them. We have these guitar weapons that you can use to kill enemies and to, more or less, stage a performance while doing that. We also have a lot of additional material about the band. Doodles that Lemmy was drawing, images, album covers to collect et cetera. The DLC is actually open for new players to jump into, they don’t have to play the original game. It depends on whether the player wants to go through the story alone or the side content, too, so anything from 10 to 80 hours. Similarly, what can you tell us about Fractured Worlds and its new content? Fractured Worlds offers endless content in a couple of forms. First, we have four daily randomly generated areas, and then we have this special dungeon called the Fracture which is endless by itself. You can go through one level and deeper, and deeper and there is no limit on how deeper you can go. Every level deeper than the previous will have harder encounters. So it’s basically how far you can go based on your own skill. Making all that posed interesting challenges. For example, how do you generate a random level while you have multiplayer enabled? On top of that, we faced the question of how to tell a story for Victor Vran inside that randomly generated content. This is where we introduced the story of the Fractured Worlds. Victor is searching for artifacts while doing the Soul searching and I won’t go into details, but this is personally the story I enjoy the most. Did you find any difficulties porting the game to consoles? Can you tell us the native resolution on PlayStation 4 and Xbox One? The main challenge we had with consoles was performance because we definitely wanted to keep 60FPS at all times, so we had to do a lot of optimization. The game will run at 1080P on the PS4 and 900P on the Xbox One. Victor Vran uses a proprietary engine developed by Haemimont Games. The engine works to prioritize frame rate, which is key in action RPGs, maintaining 60fps on the PS4 Pro whilst dynamically upscaling the resolution to take full advantage of the Pro’s hardware capability. Frame rate is the important part here but resolution gets a boost too. The game features online play. Will there be cross-platform play and if not, why? No cross-platform play due to restrictions from the platform holders. Are you planning more DLCs for Victor Vran or perhaps just a full-fledged sequel? That’s something we haven’t decided yet.